Dynamo Donuts has got to be my favorite donut shop in The City. It’s a walkable distance from my house and provides the perfect weekend morning treat. This candied orange blossom donut was very tasty! Scented ‘Lady Plymouth’ geranium flower (Pelargonium graveolens, Geraniaceae), Noe Street. This beautiful plant is in a cute wash basin planter near my gym. 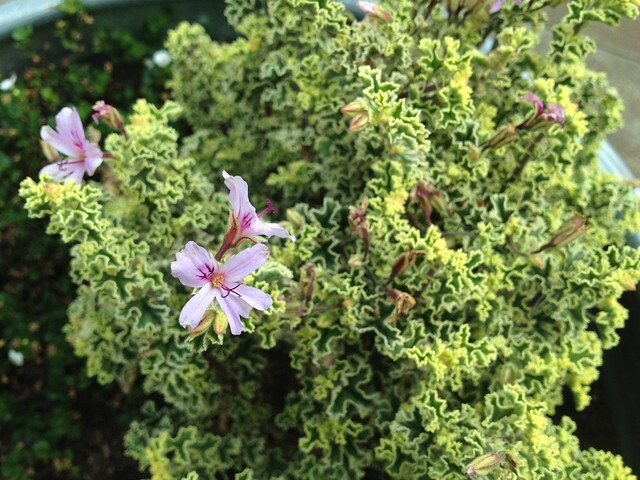 I love its light, variegated leaves and small pink flowers. 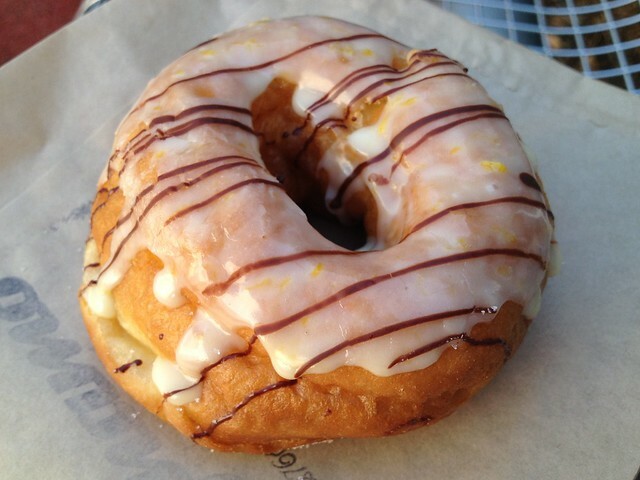 This entry was posted in Bakery, Dynamo Donuts and tagged chocolate, donuts, orange by vicentesf. Bookmark the permalink. Reblogged this on Sugar & Spice Baking Guild.